First, I have to admit that I messed up building the conditioning circuit. 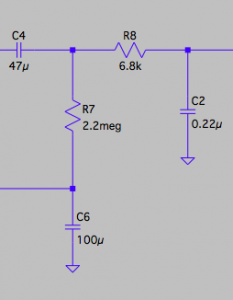 The first RC network after the first op-amp stage should have had a 6.8kΩ resistor. I accidentally used a 68kΩ resistor instead.